Care to be Different > Articles > NHS Continuing Healthcare > What are the NHS Continuing Healthcare assessment guidelines? You may be wondering what Continuing Healthcare assessment guidelines should be followed when your relative is assessed. There are various forms and documents that you may come across when going through this process. We’ve highlighted the main ones here. We’ve also included links to a couple of articles that may help you. Although some of these documents are quite long, it’s worth reading them so that you can identify what is and isn’t being done correctly by the health and social care professionals involved in your relative’s assessment process. It may be useful to start with to have a look at the different stages of Continuing Healthcare assessment and appeal. This shows you in what order things are generally done. You also be able to see how the Continuing Healthcare assessment guidelines below fit into that process. The main guidelines for NHS Continuing Healthcare are called the National Framework for NHS Continuing Healthcare and NHS-funded Nursing Care. It’s worth reading these to make sure that the assessors looking at your relative’s case abide by the rules. One of the fundamental principles of a Continuing Healthcare assessment is that the underlying health and care needs are assessed, not the needs as they appear once they’re managed. You’ll find references to managed needs vs. underlying needs on pages 21, 22, 61 and 62 of the National Framework. Stage one of the assessment process: The Checklist. Have a look at paragraph 21 on pages 7-8 for the ‘scores’ your relative needs to achieve in such an assessment, and look at page 10 onwards for information on how the assessment is scored and the kinds of things that are assessed. Getting through a Checklist assessment doesn’t mean that your relative qualifies for NHS Continuing Healthcare funding. Instead, it means they go on to stage two of the process, which is the full assessment. A Decision Support Tool (DST) is completed as part of this stage. Remember that this is a supporting document, and the members of the multidisciplinary assessment team (MDT) do not have the power to make the actual funding decision; instead, they make a recommendation, and this is passed to a decision-making panel for the final decision. Have a look at paragraph 31 on pages 14-15 of the DST for the ‘scores’ your relative ideally needs to achieve, and look at page 21 onwards for information on how the assessment is scored and the kinds of things that are assessed. Be sure, also, to read the section about ‘nature, intensity, complexity and unpredictability’ on page 49; note also: the words ‘single condition’ under Complexity; the words ‘in combination or alone’ in the short paragraph tha follows the bullet points; and the words ‘expected to change’ in the last but one paragraph. In the Continuing Healthcare assessment process the legal limit between local authority (means tested) care and NHS care (not means tested) is paramount. This article highlights the legal limit for local authority care – the limit beyond which a local authority is not allowed to take responsibility for care and beyond which it becomes an NHS funding responsibility. It shows why it’s vital that someone from the local authority attends a full assessment – MDT meeting – where the DST is completed, and why that person should play an active role. Remember, this assessment process is about your relative’s health needs, not their money. The Fast Track Pathway Tool is used where a person’s condition is rapidly deteriorating. The person may, at the same time, be entering a terminal phase of life – but note the word ‘may’. Another document you may find helpful is the NHS Commissioning Board and Clinical Commissioning Groups (Responsibilities and Standing Rules) Regulations 2012. Have a look at Part 6, which covers NHS Continuing Healthcare. Look in particular at paragraphs 21(2)a, 21(4)b and 21(9). These concern having an assessment done to start with, making sure the individual being assessed (and/or their representative) is fully informed, and NHS responsibilities concerning the Fast Track process. These are all processes that many families report are not carried out as they should be. These regulations make it clear that in a care needs assessment by the local authority (which must take place), the person or people carrying out the assessment must be competent and qualified to assess the specific needs of the person they are assessing. They must also refer a person for NHS Continuing Healthcare funding if they have any reason to believe the person’s care may be beyond the remit of the local authority. Read the Care and Support (Assessment) regulations here – in particular point 7. What’s your family’s experience in the Continuing Healthcare assessment process? I have recently had a yearly meeting with a nurse assessor. Something that came up seemed strange and I hadn’t come across this before. The nurse assessor said they need to calculate how much more my mother’s needs are than the other residents of the nursing home, i.e., are they required to attend her more? Does this suggest that there is a ‘median’ within the home, or any other nursing home? Created by a cross section of needs at that time. This criterion would be inaccurate and would need to be standardised nationally if this is the case. This was particularly notable when the nurse assessor was presented with mum’s list of medications, which came under the ‘Drug Therapies and Medication:symptom control’. She waived it away as unexceptional, asking if any of this was above and beyond what the nursing staff does for others. My mother has received full CHC funding for the 18 months. In August, we had a review meeting where I was frustrated at a ‘snapshot’ issue whereby the assessor said she could only comment on what she could see that day. My mother has repeated pressure sores and had a nasty one in Apr/May this year. It was healed on the day of the meeting, although the sister from my mother’s ward in the nursing home said the skin was again weak and would likely break soon. The assessor said that she couldn’t take that into account. She popped in to say hello to my mother for about 2 minutes and that was the only meeting she had with her. I commented that this 1 day snapshot out of 365 days wouldn’t give an accurate picture of her needs. She said I can only comment on what I see today. This is a new one on me. Yes, there appears to be an agenda for budgets. I pointed out that in one domain, it only appeared better as it was a ‘managed need’. She said that yes, they have good management here. I was astounded that she had no concept of ‘managed needs’. The sister left the room and came back saying that my mother’s skin had broken and now she had a pressure sore. So the assessor altered her comments. We have only just heard that we have now been put through for an MDT. I feel I have a true fight on my hands. This website has been invaluable (plus I bought the online book) and has equipped me with so much useful information. My mother has many other health issues and there were a catalogue of discrepancies over the last 18 months. I would have contributed on here but when things finally settled I was exhausted. We also have my husband’s parents who are approaching 90. It is not a fun time. I will, at some stage, share my experiences. One thing perhaps you could be of help with. My mother lived in the Borough of Enfield and now is in a nursing home in Herts (near me so that I would find it easier to visit). The CHC is still under Enfield and I want to know if I can get her transferred into the Herts area please? Can I record a CCG full assessment meeting. We have review of my mothers NHS Continuing Healthcare tomorrow and want to record the meeting / review. Is there anything preventing this? In my father’s NHS Continuing Healthcare assessment, Decision Support Tool Guidelines were ignored on 4 occasions. Are these guidelines statutory or optional? In a recent DST Assessment at a Nursing Home for an elderly Lady with Dementia who was receiving NHS Continuing Healthcare (CHC), the Nurse Assessor excluded the Registered Nurse at the Nursing Home from the MDT saying that his views were likely “biased” and that the MDT only includes the Nurse Assessor and the Social Worker. Both the Nurse Assessor and Social Worker had very little knowldege of the person’s healthcare needs and only had met her a few minutes before the DST assessment. The Nurse Assessor said “No” to whether the person’s needs were compared against Pamela Coughlan and although a Registered Nurse admitted no specialism or knowledge in dementia care. Please, can someone let me klnow if there Is any legislation that allows a Nurse Assessor to exclude a Registered Nurse just becasue that person is involved in the care of someone with dementia in a Nursing Home? I’ve checked the “The National Health Service Commissioning Board and Clinical Commissioning Groups (Responsibilities and Standing Rules) Regulations 2012” and see that an MDT contains “at least” two Professionals and does not say that RNs in a Nursing Home can be excluded. This seems to be a blatant disregard for the rules or shows a complete ignorance of what an MDT consists of. I was asked to attend as a friend of the family, and we were allowed to make an audio recording of the whole meeting – except the Nature, Intensity, Complexity and Unpredictability discussion at the end (from which the Nursing Home RN was also excluded) which lasted less than 8 minutes – and more likely lasted only five minutes when the family relative and I were outside the room. My mum came out of her 3rd time in hospital since August each time she is deteriorating more. The hospital didn’t ask me to the Continuing Healthcare assessment as the LPA and the way my mum is I should of been there. THey said she was borderline but I cannot get a copy of the Checklist off them I’ve tried numerous times and they just keep passing the buck. I’m not convinced if they cant give me a copy it was actually done. I dont know who to go to next to sort this as I believe my mum now should go onto the next stage of the assessment. Hi…just scrolling through..same thing happened with mum…the checklist done 5 weeks ago and I’ve phoned 3 times for a copy..keep fobbing me off..in town next week so will turn up at their office and tell them I’ll wait whilst they print one off for me. Just been through a Full Multidisciplinary Team (MDT) Decision Support Tool (DST) Continuing Healthcare (CHC) -meeting to reassess my sister-in-law for CHC funding. She has been in a nursing home for just short of a year now, has suffered multiple strokes, has diabetes and a condition that makes further strokes likely. My query is on the way that MDT Full Assessment meetings are supposed to involve family members. (My brother-in-law has POA). In the first Full Assessment, conducted in hospital last year, we were involved in the whole of the process, looking at the Domain scoring, and the discussion around nature, intensity, complexity, and predictability of needs. The professionals allowed us to put our points on all issues, noted disagreements, and then the Assessor told us what she would be recommending to the CCG. My concern is that in the most recent meeting, held this week, the Assessor told the relatives to leave the room before the part of the assessment covering nature of needs, complexity etc. She then came to us with the social worker and informed us that my sister-in-law no longer met the full CHC criteria and would be recommended for FNC only. If the whole process is supposed to be explained and transparent how can family be excluded from such a crucial part of the assessment? When queried the Assessor said that she has always conducted DST meetings in this way. Have others been asked to leave at this point? Are there any regulations or national guidance I can use to clarify this point? And thanks so much for the invaluable information on this site. It has been a lifeline in such a difficult and depressing process. Hi. This is exactly what happened to me in my mum’s assessment in September. They discussed the unpredictability , complexity etc. privately and came back saying the same thing. When I looked at their report afterwards they used the unpredictability section to say my mum’s needs were predictable and there were triggers to her behaviours. None of these so called triggers were explained and as far as I, the nurses , the carers are concerned there aren’t any triggers to her behaviour, she can hit out, bite, when she appears happy and smiling, or when she is agitated, it’s totally unpredictable. They also down played her needs in the complexity area. This is all they need to take Continuing Healthcare away. Most of what they said in these areas was just not true. I’m currently appealing, as they also fell foul of following a lot of the National Framework guidelines too. I can’t find anything in the guidelines that says specifically that you can be part of the discussions around predictability etc , but it’s certainly against the main principles, as all discussions should be open. These four areas are crucial and the assessors use them to undermine needs. I’m also interested in the issue of who the assessors are legally allowed to exclude from parts of the meeting. We have arranged a repeat of the Decision Support Tool (DST) as the assessing co-ordinator agreed the first was not carried out properly (we not not told it was happening). However having read the posts on this website I asked if we would be excluded from any of the meeting. The co-ordinator said ‘just the end, when the assessor and social worker decide on the recommendation, because we don’t want to cause worry to next of kin. It is only a recommendation.’ A recommendation which the panel will almost certainly follow. Can we legally insist on remaining in the meeting? How can this be justified in the light of the National Framework? Best wishes to everyone in their fight. In reply to the queries about who can be excluded from a Multidisciplinary Team (MDT) assessment, and at what point. I phoned NHS England and they gave me a number for the Regional Continuing Healthcare (CHC) board covering my area. Worth getting that, they were friendly !! They said there is nothing legally covering this. The guidelines are just that, guidance, so each CCG can interpret according to local circumstances. So much for a National Framework to avoid post code lottery. Their suggestion was that we write to our CHC office asking them to explain why they chose to conduct the meetings in such a way as to make family feel excluded. We were told to leave before the crucial discussion on nature of nature of need etc. We will make that a central part of our challenge to the decision to stop CHC funding . Also worth noting that the guidelines are clear about the MDT including at least two, and if possible all, of those health workers who are DIRECTLY working with the person. In our case neither GP nor Dietician (both key to managing the health needs) had been invited or asked for opinion. Both have agreed to send us their views in writing for the appeal. Best of luck everyone. It is a hard fight but keep going. Will post more on how we get on. I’ve just discovered by ringing the CCG that my husband has once again been turned down for NHS Continuing Healthcare but will continue to get Funded Nursing Care. He has the Parkinson’s form of Multiple System Atrophy – a rare neurological disorder. I too was told that I didn’t need to be involved in the last part covering the four areas and have only just read these posts. He went into a nursing home last August as even with 2 carers coming 4 times daily I couldn’t continue to care for him. He needs 24 hour care 7 days a week. He is completely immobile, doubly incontinent, wears a bipap mask at night and requires oxygen as required during the day. His swallowing is affected and he had a rig fitted last November. Although he can feed himself (becoming increasingly difficult due to loss of dexterity and jerking) he gets extremely tired. He is consistently losing weight despite being given supplementary nutritional feeds through the feeding tube. It often takes 3 carers to get him up in the morning as he can’t support his trunk anymore. He’s lost so much muscle. He needs to be hoisted for all transfers. Communication is problematic as his speech is almost unintelligible and he’s lost the dexterity in his fingers and hands for sending texts etc. He’s currently on antibiotics for chest and urine infections. I’m waiting to get the report and thinking of appealing this time. I wish I‘d seen these posts as I would have insisted on being present for the last discussion. Thanks for your very kind feedback on the website, Jenny. Hi – after some quick advice? And thank you to the organisers of this website for being here. My dad has his first ever Continuing Healthcare (CHC) assessment at home this coming Thursday. Multidisciplinary Team meeting. Do you know how many people will be in the team and who they represent? I’ve read that, sometimes, members of the assessment team are not fully qualified in the right speciality. We didn’t ask for CHC assessment – we were referred by one of the 3 hospitals my Dad has been in during the last month. He passed the first initial assessment. Can someone help me! My mum had her 12 month review for NHS Continuing Healthcare (CHC). She has had CHC for 3 yrs. The meeting was undertaken by two nurse assessors who had never met my mum before. They didn’t spend any time with her. At the end of the meeting one assessor said a Multidisciplinary Team (MDT) meeting has been set up for three weeks time. I asked why and she said mum’s needs require further review. We started to talk about the Communication domain and she said she marked mum Moderate and I questioned this. Then she said we are not talking about that here, that will happen in the next meeting. I have sinced asked who will be at the MDT meeting and have been told it’s the same nursing assessor and someone from the local authority . My question is, can it be the same nursing assessor as the initial meeting as she has already done her scores and made her mind up! Surely she won’t be objective in any follow up meeting, and what will she do any differently? Can I insist that the MDT meeting must have an assessor that wasn’t at the initial 12 month review? My father is at home with carers going in four times a day and a rota of family members are also there 24/7. He is 96 years old, bedbound, doubly incontinent and has complex partial seizures caused by Alzheimer’s Disease. We or the carers have to feed him and hold drinks for him. He had a NHS Continuing Healthcare assesssment a few weeks ago and we had a letter this week to say he is only eligible for social care not nursing care. We are appalled by this. The assessor and the review officer (not a social worker) were weirdly working together. The review officer agreed with every score the assessor gave. There was just the two of them. Since the assessment a few weeks ago our dad has declined. His seizures have got worse (admitted to hospital last night) despite the epilepsy medication being to the max. He has periods of paranoia, delusions about being wet when he isn’t and recently has become more verbally aggressive, repetitive shouting and generally agitated. This can go on for hours and nothing we do or say helps. He also has heart failure which is causing a build up of fluid on his chest. This is being treated by an increase in his diuretics. His eating and drinking wasn’t great before but now this is getting worse too. He is refusing drinks after having a few sips. My question is when can we have another assessment considering a lot has changed in a short space of time? You can apply for a reassessment whenever you want. However you might like to appeal the decision and assessment done. Thanks Neil, the appeal process, as far as I know, takes a long time so I was thinking a reassessment would be quicker? The reassessment might not give you the result you want and you may end up having to appeal anyway. Its a tough choice. The thing to remember is the system is deliberately stacked against you. You need to have full copies of the first assessment – at a second assessment have all your evidence against each domain and be prepared to argue hard for your own scoring. – submit your own advocate’s assessment. You have to be absolutely aware that this is a battle. Assessors are not there to help you in any way more to evade any responsibility for Continuing Healthcare (CHC). I have plenty of evidence of CCG’s and Social Services working together – all part of the scandal that is CHC. You might ask the social worker present at assessment what they know about CHC and their legal limit and are they aware of Coughlan. Focus on detailing in every way against every domain that the needs are primarily health. However many assessments you have inevitably you will be in an appeal process – deliberately on their part to drag things out. Check that the Multidisciplinary Team is properly constituted according to National Framework – mine was not on two occasions which equals flawed process. If their are mental health issues involved the nursing assessor must be Registered Mental Health Nurse qualified – otherwise they have no capability to even assess 4 domains. Neil is totally correct. The system is not independent – it is not impartial and can never be when those holding the purse strings control the assessments and convene their “panel” – judge and jury. It is stacked against you and have to concentrate on every detail. I have been through this with both parents – if I were going through it again I would seek independent medical opinion probably on a private basis with a written report to support your own detail. If medical baselines are established it becomes more difficult for “assessors” to argue them downwards. Write down anything and everything you can think of relating to each domain despite the fact that many details of caring have become second nature and possibly forgotten. Anything and everything is vital. In the case of epilepsy the medication domain is vital – the nature of the condition might indicate priority. Thank you very much for your replies Neil and MelanieP. We did keep a detailed record of everything about dad for weeks before the assessment. As it stands now dad’s deterioration has been quick and he is very poorly in hospital. We are now expecting the worse. For him it will be a blessing because he is suffering and has suffered greatly these last few months. How these assessors and representatives of the local authority (because that’s all she was) live with themselves and sleep at night I do not know. Hello – I’ve only just discovered this website. My mum was given a Continuing Healthcare Assessment in 2012 (and died in 2014). I’m guessing that it’s now waaaaay too late to challenge the assessment results. Please can you tell me if that’s correct? Thank you. Its not too late. However you need all the historic evidence to stack up. Can anyone help. My mother was awarded Continuing Healthcare (CHC) at the end of January. They have just had another full assessment 26th May. Every score was the same and lead nurse at home said there had been no change in mam’s needs health or care. Social worker never said a word, had no report and had only met mam for 10 mins week before. Is there any help we can get to appeal. It seems my sister and I have nowhere to turn. There is help on this website to put together an appeal. The only othe help would be if you paid a professional and you should be very careful you have someone competent and experienced before you part with any money. He process is clearly laid out here, you just have to be prepared. Good luck whatever you do. Thanks Neil i think we will have to go down the professional route as assessor and social worker were completely dismissive of all our comments and questions. I’d just like to tell everyone the local authority have pulled funding for citizens advice, Age UK have had to stop advocate service, Healthwatch could not find any free service to help us. So weve found to our cost that everything is stacked against sufferers of dementia. I would appreciate comment regarding my late father’s case. He had an initial CHC check list assessment on 9th September 2016 with the recommendation that it be taken to Multidisciplinary Team (MDT). My mother was informed she would be contacted in a couple of months. I asked care home staff in December if they had been contacted about the MDT and was informed that there was a backlog of residents waiting to be seen. I rang the CHC team on 5th January 2017 for an update when I was told a social worker was meeting with them that afternoon to discuss my father’s case following which a date would be sent to my mother for the MDT meeting. I was told CHC would be backdated. Sadly my father died on 21st January. I contacted the team again last week as I feel any payment which should have been due should be paid to his estate as he and my mother have been paying towards the care home fees for 18 months. I was told that his case has been closed because he has died. I would appreciate comment on whether this is the correct action for them to take or whether the timeframe taken without a meeting being offered can be considered to be unacceptable. I do feel that my parents have not had an acceptable service and that delaying progression of cases by CCGs could be of considerable financial benefit to them. In my case where the CCG is trying to withdraw funding and I suspect that this is happening all over the country the assessors are using “internal guidance” (my solicitor has now been sent copies after repeated requests) which is at variance with the National Framework and DST and designed to allow assessors to downgrade domains so we are not even arguing on the above documents. The whole agenda is of course to reduce costs irrespective of the DST scores etc and remove funding. I am new to this process and badly need some advice please. My mother has suffered a number of strokes and is currently still in hospital. I have asked that she be assessed for Continuing Healthcare (CHC). We have been invited to a meeting to discuss her discharge. She is waiting for a PEG tube to be fitted, is doubly incontinent, has significant cognitive issues including perseveration, short term memory loss and processing issues, a history of mental illness, is unable to move without a hoist and is partially sighted. Speaking to the Social Worker she believes that she will trigger the second phase of assessment but thereafter the process will be more difficult. She hasn’t actually met my mother but this does not seem to be important. I am not sure what the next stage of the process should be. I know that is difficult to get CHC but it seems that she has significant issues which are being played down. Can anyone offer some help as to what happens next? Is it worth taking some legal advice at this stage, I know that there are solicitors who specialise in this kind of thing. 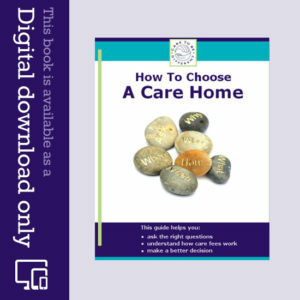 Hi, many thanks for your comments, appreciate your advice, I had a call asking if I found a care home yet, should I move mum or ask for a full assessment prior to her leaving hospital? I have been to view a care home and although nice I’m not sure, it feels once mum leaves hospital we would have a more difficult situation,, the discharge nurse again said it’s very doubtful mum will get care at home which would be her wish, it is a sad state of affairs in one of the richest countries in the world where people have paid into the system over a lifetime. Once again thank you for the help and comments, I will keep trying. All hospitals are under huge pressure to get people out. It’s called bed blocking. Where I am 60+ beds at any time are blocked, old people waiting for assessments and places in homes. Make sure you have read everything here and don’t let them means test your mum until they assess her as not qualifying for continuing care. Do you agree with the assessment? If not, appeal. You are not obliged to find your mum a bed. You can take her home and get Carers to come in but you may have to fight. Sadly it sounds like your mum may be too ill for you to look after. Unfortunately if you read people’s posts on here you will see everything’s a fight and it’s all about money!! Them saving it mostly. Good luck. I wanted my mum at home with hopefully CHC funding but was told this would be highly unlikely, it seems to be getting pushed to a Nursing care home and funding for initially six weeks when a full assessment will take place. My mum has end stage 5 kidney disease, heart disease, osteoporosis, diabetes,anaemia, sight problems, hearing problems, double incontinence, mobility problems, needs skin care , and has cognitive impairment, with memory loss ,hallucinations and a severe risk of falling, fell twice in hospital. I am unsure of what comes next having been told to look for a care home, I feel we are being railroaded and get the impression the quicker mum leaves hospital, the better. The Checklist link does not work above. Thanks Neil – we’ve amended the links now. We have appealed the Continuing Healthcare assessment that was undertaken on my mother in law last August and are scheduled to meet with the respective authority next month. She has dementia and it is clear that she was marked down almost to miss meeting the criteria. We had a couple of queries though. The initial assessment was done in a room at the home where she resides, but my mother-in-law was not present. We find it hard to understand how they can ‘assess’ her needs without even having met her, is this normal and more to the point is that permissible? The appeal is apparently going to be in the council offices. Again i do not see how this can position the Council to assess her needs, which have obviously worsened over the last ten months. Her cognitive impairment is severe at the very least and she cannot make any decisions for herself. We cared for her for five years until it become too difficult for us, so we know her better than anyone. It just feels as though these are tick-box exercises where we will not succeed. Any advice would be warmly appreciated. Eric – it’s not unusual for the person being assessed not to be present at the actual meeting (and in some ways it’s ‘easier’ to talk about the extent of their care needs when they’re not in the room) BUT – and this is vital – the assessors MUST be familiar with the person and their specific care needs. So they must have met the person and also looked into the detail of their health and their care needs. Many families report that some assessors will turn up early to an assessment meeting and go and see the person being assessed and them just a few random questions – and then claim that they know the person. This is of course is utterly hollow, especially if the person has cognitive impairment. At any meeting, ask each person in the room what their role is and also what qualifies them to be involved in the assessment process for your mother in law specifically. If they don’t know her and/or they don’t understand the Continuing Healthcare process AND the legal context in which that operates, they shouldn’t be involved. You say it is important that the assessors should have some knowledge of the person and should have met them, well mine is a review of the whole period of my Mother’s care needs in her Nursing homes being done because the CCG agreed that they had not followed the NHS Framework guidelines and agreed to pay an independent company to do a full review. Noone has ever met my Mother (she died in 2013) and the care notes are scanty and repetitive. Is this a fair way to assess someone? Thank you for your advice. Vanessa – in retrospective reviews , especially if a person has already died of course, it’s not unusual for the assessors/reviewers to have never met the person they are retrospectively assessing. It’s not ideal at all, but sometimes it’s unavoidable. That doesn’t take any of the blame away from the CCG for not doing things properly in the first place, of course. Remember that in any retrospective review, just as in any current assessment, it must be clearly shown whether a person’s needs were within or outside the local authority’s legal remit for care – and if the care notes/evidence are inadequate in this process, the CCG cannot simply conclude that a person was not their own legal responsibility. Just been told CHC assessment for my lovely Dad is on Tuesday. I need to be prepared. He has brain injury, his only ability is to feed himself with someone with him. Before his fall he had a strange blood thing of no significance, 1 kidney removed and was getting very shuffle of foot. Yet he always walked an hour each day. He was always into his fitness. Since fall, he’s been diagnosed with parkinsons or parkinism, osteoporosis, his blood thing is now something more significant, but they don’t know what, etc. How do I fight his corner? Sarah – you need to read the key documents in this article relevant to the process, especially the eligibility criteria. Make sure you know what you believe your dad should score in the assessment, and pull together as much information as you can to support those scores. Make sure you’ve seen the care notes kept by the care provider, as these will play in important role. Often families find the notes are inadequate or inaccurate, so check these. My father is in a Brain Injury Rehabilitation Unit, it’s a private company that is funded by NHS for 6 months. The CHC is about to happen but he has no social worker. I did ask why not, they seemed surprised that one was needed. Should I let it rest as it could be a useful negotiating tool if he’s turned down, or insist on it? I would go with your instincts on that one, Sarah. There should be a social worker involved – to ascertain whether or not your father’s care is beyond the local authority’s legal remit. If there is any talk of removing the CHC funding, you can immediately respond by saying that the local authority must (in law) take an active role in the decision. One further point – it can certainly save time to get things done properly to start with, i.e. having the right people involved right away. The risk with local authority representatives/social workers is, though, that they very often have little or no training in their legal duties in this context, and many families report that the social worker often just caves in and agrees with whatever the NHS says. Angela, many thanks. The NHS Funding ‘Care’ Team now tell me they can’t give me information as it would be illegal to do so. Yet they rang me back to say that I gave permission for the 2nd Checklist. They also said that we need power of attorney or they can’t share details as mum is mentally competent to make her own decisions. Which would seem to be a contradiction. She has now scored 7 x C’s and 4 x B’s. And does not meet the criteria. On the checklist it states that mum has lost 10 kg in 2 months and this is graded as a B, what then is substantial weight loss if this isn’t. We are now, as suggested on your site, logging everything. We know this is ‘end of life’ but a complaint will go in, even if it is just to highlight what I believe to be criminal collusion. The NHS Continuing Healthcare team etc have said that we can complain to them and they will take it to the CCG, but really can they be trusted? We do not want them to know what the complaints are until they are confronted with them; they are the problem. Do we go straight to the CCG and bypass the NHS CHC team or straight to the Ombudsman? I did say that we would get mum to sign a letter to the effect that she defers all health matters to us, but seeing her today she wasn’t well enough and that would make us no better than the NHS CHC etc! Mum should have been released last week to a care home but the ward is in lock-down, she has deteriorated so quickly it is doubtful that she will actually reach the care home. Hi Stuart – that sounds so distressing, I would recommend sending your complaint to the Chief Exec of the CCG and copy it to the Head of Adult Care at the local authority (because they are potentially in an illegal position by having effective been given responsibility for your mum’s care). You could also copy it to the Head of CHC, but I understand why you may want to wait. If you disagree with the outcome of the Checklist and the CHC team refuse to do a full assessment, you may want to approach NHS England and request an Independent Review – even at this stage. I realise things don’t look so good for your mum right now, Stuart, but I hope this helps. Thanks again – spoke to someone in the Nurse Assessment Team who was very sympathetic and said that the Checklist had been done too soon. I explained all the problems. She said she would review the Checklist. I stated that we wished to be present at an assessment. I also stated that we had no faith in the social worker after her antics. We also talked about ‘end of life’ and Fast Track. I also mentioned the rationale and what was written. She said that nurses often wrote things in there! Spoke to another nurse who said that what they write is often ignored and are asked ‘what’s in in for them’! when they are actually trying to help. We received part of another completed Checklist, she had reassessed mum without us being there! (after what I said to her) and found she didn’t meet the criteria. Mum is due to be released. Mum is now deteriorating quickly, being now 7st (having lost nearly 1st in 12 weeks in hospital). Mostly bed ridden and only able to feed herself. I rang the office and asked for the rationale that was missing and was told that families are not entitled to that. The front page where the patients signature should go was also missing. It would appear that there is a culture of ignoring the rules or just plain ignorance. Whatever mum’s outcome we will be compiling a complaint to try to help others in the future. Bearing in mind what happens to complaints is it best to go straight to the Ombudsman or do we have to go through the drawn out procedure? This is, in my opinion, a catalogue of abuse where the elderly equal money. My father has had a severe stroke. He has severe cognition. Moderate to severe dysphagia. Doubly incontinent. Cannot speak (odd word), read, write or eat (on puree only). We have just had the assessment done and he scored severe on cognition and high on three others – continence, nutrition and communication. We signed and then it was sent to the CCG. A doctor then took an initial look at it and spoke to the lady at his rehabilitation centre he is at who is dealing with it (she is a physiotherapist) and downgraded my father before even the panel looked at his case. His three Highs are now two Moderates and a Low. My father has had two xrays on this throat and as i said above severe dysphagia and the doctor has now marked his nutrition to Low. We are extremely unhappy and have now refused to re-sign the new document. I believe they are now going to send on the document now changed back to the CCG with a note to say we as a family are not happy with the scorings. Please can you tell me where we stand on this. Many thanks; we have had, today, a meeting with the social worker (SW). and a doctor (18/1/16). When we asked about CHC the SW stated that this had been done but not when, with my mother-in-law’s permission. We were not informed but were told that the person carrying out the Checklist had signed to say that the family had been informed! The SW stated my mother-in-law had not met the criteria and that her assessment would be for self-funding, based on the Checklist. My m-in-law has no recollection of signing the form (on which her signature appeared but in the wrong place) and there were also many mistakes. I asked for and got a copy; it was dated 27/11/2015. The result was 7 B’s and 4 C’s. Page 11 on the checklist states “Borderline outcome for full assessment, patient progress would indicate deterioration, would benefit from full assessment”. She has had arthritis in the knees since the age of 18 and has spinal degeneration also anaemia, none of which were mentioned. The arthritis having an effect on her daily life (Pg 13 section 3). Is the SW being economical with the truth? How do we go about getting the full assessment? Whose attention do we bring this to? As this was based on medical opinion. If/when this is done I take it we have the right to be present as we were told that it wasn’t necessary as my m-in-law knew what was going on! If a CHC assessment has been carried out, there should be written notes and a written rationale of the outcome. If your mother-in-law’s ability to give consent was in any way in doubt, a Mental Capacity Assessment should also have been carried out. http://caretobedifferent.co.uk/mental-capacity-assessments/ 7 Bs in the Checklist should have triggered the full assessment process. Quote the wording on page 7 of the Checklist document to the Continuing Healthcare team at the local Clinical Commissioning Group (CCG). You’ll find a link to that in this article: http://caretobedifferent.co.uk/getting-the-nhs-continuing-healthcare-assessment-process-started/ And, yes, if you’re acting on behalf of your mother in law, you should be invited to attend the full assessment and you can take someone else to support you if you choose. Hi, I need some advice. My mother in law (aged 86) has been readmitted to hospital. She could not move without help. She was never assessed on release from hospital the first time. This is now a different hospital (within the same care trust). She has been in hospital now for approx 8 weeks. In the last 6 most she has lost an incredible amount of weight. She has had cancer twice previously and believes it to be the case again. She has deteriorated further whilst in hospital. Her bladder was perforated whilst having a catheter fitted;she needs to be stood up every hour and turned in bed at night every two hours. The social worker involved has never mentioned my m-in-laws needs. Quite the opposite. All she has mentioned is how much money does she have? Does she own her own home is so she will have to sell it? And here are a list of care homes and how much they will cost. This was after a 40 min conversation saying she was fit to go home until a nurse said she wasn’t fit enough. No mention of CHC. My m-in-law says she feels that she feels pressured. We are getting money calls at home from the social worker. Where do we go from here? Is this normal? Whats our next step please? Hi, my husband who has MND is in hospital. He has recently been approved for CHC but a further assessment needs to be done as his condition has deteriorated since the original assessment and his needs are complex. A rather ‘pushy’ district nurse is suggesting he comes home on 4th January with a nurse and a carer for 4 days to carry out the assessment. (She originally tried to bully me into having him home with 2 carers 4 times per day, or the alternative would be for him to go into a hospice and how would I feel about that? )I have asked what would happen on day 5 but have not had a response. My feeling is that the next assessment would be best carried out in hospital, with my husband coming home with a CHC care package in place. I obviously want the best solution so my husband will be as comfortable as possible and would appreciate any advice. Many thanks. Sounds hard for you both. If you want a nursing home placement then the NHS having agreed to CHC funding, should actually be working with you and the Council to ensure that it is what happens. That care package should be free if he has indeed qualified for CHC. Perhaps that is what was meant by a hospice placement. If you want him home, then CHC again has been agreed and that should cover the cost of all necessary care within your home. The fact that other “assessments” need to be done seems to imply that they are trying to decide what level of cover is necessary within your home. I am sure that there will be some negotiation attempted so that costs can be minimised. That sounds very distressing, Teresa. Health and social care personnel ‘encouraging’ people to leave hospital before the proper assessments have been completed is something many families report. The lack of response to your question about what would happen on day 5 sadly doesn’t surprise me. I think you’re absolutely right to expect the CHC process to be carried out in hospital and for your husband not to be discharged until a full care package is in place. The National Framework page 50, paragraphs 2.1 to 2.3 describes the difference between a health need and a social care need, and you may find that helpful. https://www.gov.uk/government/uploads/system/uploads/attachment_data/file/213137/National-Framework-for-NHS-CHC-NHS-FNC-Nov-2012.pdf The legal limit was also reinforced in the Coughlan case. Barry, It could be argued that if activities of daily living are being met because of illness then the complexity, intensity, unpredictability etc., if in existence, makes any need a healthcare need. For example: 2015 IRP stated that a lack of communication in a late stage Alzheimer’s sufferer was an obvious healthcare need because the patient could not report their medical needs or even the most basic of so called social care needs that they could not undertake for themselves. Try looking at it this way: If I was suffering ebola infection and subsequently placed in one of those isolation bubbles. Would my social care be being provided for any other reason than I was ill? When the ebola illness is (hopefully) cured then the need for the so called social care no longer exists. To restate it…… the social care needs only existed because I was ill and illness is the NHS’s duty to provide for. Hi. Great site and so helpful. My mum has advised vascular dementia and we had to learn about CHC fast when hospital tried to discharge and move us onto Social Services. To cut a long story short, hospital never mentioned CHC, their assessors, i.e. NHS nurses, lied throughout the process. Luckily I had Enduring Power of Attorney(EPA) and demanded copies of all records and then data analysed them so the facts spoke for mum’s needs. I insisted that CHC bods followed process and I took my digital dictaphone to every meeting. At the DST (i.e. the multidisciplinary team meeting), we challenged every non-evidenced comment the CHC people and nurses made. If we had not been there I am sure they could not have been trusted to be accurate. Even during the DST totality discussion, family were excluded, but my tape was still running, we learnt that they tried to find a way of denying mum’s eligibility. Even with such comments as well even if we have to give it, we will get it off her in 3 months time. Really nasty personal comments about me also followed. So in July 2013 mum got CHC. They tried in Dec 2013 to review but broke process so I objected and so no further review till July 2014, which went fine and CHC was retained. Aug 2015 we had another DST, no prior assessment of mum, the CHC nurse and Social Services rocked up together, took less than 30 mins to assess notes. They refused to acknowledge that they had missed data, Social Services just agreed with CHC on everything. However even then we scored 1 severe, 6 highs and 3 moderates and CHC nurse did not even discuss overall and stated she would be recommending that mum retain her eligibility. I know that’s brilliant news but they did not follow National Framework rules, kept saying oh we have to be fair to everyone. I challenged the CHC nurse but she wouldn’t listen. I got it all on tape again. In summary, do not trust either NHS or Social Services; they are dishonest and they lie. Hi Michele – thanks for your kind feedback. What an appalling story, and it sounds as though the behaviour of the assessors has been disgraceful. Have you thought of going to the press? It’s been the case for a while that hospitals want nothing to do with CHC assessments anymore and simply carry out a process called “Discharge to Assess”. That actually seems to me to be unlawful, because the National Framework requires a Checklist upon discharge. There is often a computerised discharge process that involves the LA too (that you will never see any data from and there is obviously no Checklist either). That process often also seems to interfere with the Doctor led “Fast Track” process too. Also bear in mind that a Checklist done in hospital would enable a patient to gain funding far quicker that waiting until a nursing home manager settled the patient down again, stabilised any outstanding illness and then got on the ball and asked for a Checklist. The NHS’ directors know full well what they have trained their CHC managers and assessors to do. Those that have poorly understood their training become obvious very quickly. The Care Act also requires there to be a Checklist assessment prior to discharge from hospital. What I don’t understand is how so many rules are broken without any sanction against the personnel that seem to repeatedly overstep the mark. Even when they are proven wrong, often nothing happens or it happens very quietly and is later trotted out as some new initiative whilst the wrongdoing is ignored and the recalcitrant personnel get paid for their lack of expertise and their unlawful acts. My mum has dementia and is in a care home for the last 2.5 years. We requested a CHC assessment and she got through the Checklist to the DST. She met the criteria in a number of domains on the checklist and the DST but then the MDT sent it back saying the social worker and mental health nurse conducting the assessment had not provided the correct evidence and so it was refused. This then generated a retrospective review. We waited over 2 years for them to complete the retrospective review. I complained at how long it was taking and the lack of regular updates. My complaint was not upheld so I went to the NHS ombudsman who did not uphold my complaint but requested a current assessment. Even though she had clearly deteriorated in the 2.5 years she did not score highly enough on the Checklist. When I challenged this saying she had got through previously and reminded the team that ‘a well managed need is still a need’ they completed the DST. This was rushed and carried out in my presence immediately after the Checklist. I had no time to look at it properly. She scored Severe for cognition, which I really had to fight for, but they then cleverly played down her other needs such as feeding problems and incontinence to ensure she was deemed as not eligible for CHC. I feel we were rushed and bullied throughout the process. The person conducting it had met my mum for 10 mins. I wish to contest the result. Should I appeal now or wait for the final decision from the ratification process? Is it worth getting solicitors involved? Any advice greatly appreciated. In April this year, after a doctor told us my 87 year old mother would need continuing healthcare for the remainder of her life, the initial checklist was done while she was still in hospital, in the presence of my sister and myself. She passed and we were told that, upon hospital discharge, she would move initially to a CCG enhanced assessment bed, during which time the next stage of the CHC assessment would be done. This was in April 2015. My mother has to be on oxygen permanently, and also needs stoma care, help with medications, and can barely eat. She has constant pain from her diverticular condition and fistula. She has very limited mobility, lost a great deal of weight and her mental capacity is diminishing. Since April, we have been waiting for the next stage of assessment to take place. However, a new social worker was appointed, who initially said she thought the assessment had taken place and that mom had failed. So, we were asked to do financial assessments and look for suitable homes. I challenged this, saying mom and ourselves had not been informed or involved as we had been led to believe. The social worker simply said a “healthcare professional” would contact us – while she only seemed interested in mom’s finances. On 7th April we gave financial details to Social Worker, who then said that the CHC assessment procedure would be re-instated. I re-iterated that she had already passed the checklist and we were waiting for next stage. She said that this was irrelevant and the procedure would be re-started from checklist. She said that healthcare professionals would contact us in due course. We did not hear anything for three -four weeks. In the meantime I had been looking at possible suitable care homes as Social Worker had advised. It was purely by chance that, yesterday( 29th July), while speaking to a nurse in the home where she still is, that I learned that the CHC checklist had been done on 1st July, upon the request of the Social Worker! Neither my mother nor the family were informed or involved. It appears that my mother failed the checklist. I confronted the manager of the home who claims she was not consulted and said that one of her resident nurses had been asked to do the checklist then fax her the results! While I was looking into this at the nursing home, the Social Worker rang my sister informing her mom had failed the checklist and therefore only needed residential care and, again, insisisted on continuing financial assessments. then lied to us, knowing it had already been done on the July 1st – at the meeting we had on July 7th where she said the assessment would be re-started in the week or so. Where do we go from here? I will challenge the Social Worker and have been assured by the home manager that the July 1st assessment is “null and void” as it was done properly and did not involve a qualified assessor or multi-discipline professionals. I feel I should make an official complaint but am unsure how to best proceed. Hi Gail – you were right to challenge the statement that your mother had ‘failed’ the assessment. The original Checklist is important because, if you succeed in securing Continuing Healthcare funding, it will be backdated to day 29 after the original Checklist. If the process is started all over again, funding is likely to be backdated only to the time of the new Checklist. It sounds as though there has been clear maladministration in the process – with you not being informed or involved, no transparency in the process, the first Checklist being ignored and a primary focus on means testing. Bear in mind that the Checklist doesn’t required a multidisciplinary team (that’s for the full assessment – stage two); the Checklist can be carried out by one person – but the family should be involved and the person carrying out the Checklist should be trained to do so and have the required knowledge to assess needs, and have good knowledge of your mother’s care needs. Write to everyone involved – including the Head of Adult Care at the local authority saying that the local authority is potentially putting itself in an illegal position. 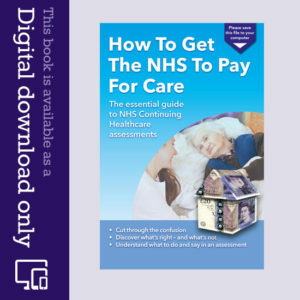 More about that here: http://caretobedifferent.co.uk/nhs-continuing-healthcare-assessments-2/ Although this link talks about the full assessment (stage two) the point about the local authority ‘limit’ are just as valid. My mom was diagnosed 5years ago with Vascular Dementia. She has been in hospital for the past 11wks due to a fall, then shingles, and then a fit that lasted quite a while. We visit everyday and at every opportunity we have informed hospital staff that my brother and I have LPA for care and no assessments should be carried out without us being informed. This was totally ignored while she was on a Complex Discharge Ward and unknown to us a CHC assessment had taken place without our knowledge. It only came to our attention this had happened 11 days earlier, when we had a meeting with moms Social Worker. The most annoying thing is that the checklist had obviously been altered to a lower score from the original Scoring of 5 B s. ( I wonder why ) What is the point of the assessment process when the so called professionals take no notice of the guidelines and don’t acknowledge the power the court has given us. We have since at our request had another CHC done and now waiting for the results. During this time moms dementia has deteriorated In lots of ways and she is now at the stage were she is unable to hold a conversation with us. My next task is a letter of complaint to Chief Executive at the hospital. I have found the information on this site very helpful. Thank you. Thank you for your very kind feedback, Cal. I’m glad the site is useful. You raise some good points – and many families have experienced the same things, sadly. Wishing you well with your complaint. Let us know how you get on. My father was placed on the Co-ordinated Care Register by the Nursing Manager of a care home without my knowledge, without my consent, I only found out by chance. She led the Register to believe that there wasn’t a relative or power of attorney. Both are untrue. This same care homes manager did not attend CHC review meetings, her manager says that the law is that only a perspon with knowledge of the person need be present at CHC DST meetings not a person with nursing knowledge – therefore they sent a carer who only has knowledge of personal care and not qualified to discuss nursing needs. All notes inc care plan, medication have been withheld from me despite numerous requests, I asked the CHC manger for a delay in meeting for DST after a refusal at review, this delay to obtain notes was refused and the meeting went ahead. A power of attorney is a legal document and, as such, the care home manager and the CHC team could certainly be obstructing the law here – being in breach of the Mental Capacity Act. I was successful in being granted CHC for my mother in Dec 2013 after 12 months of assessments and a tribunal ..my mother was in a care home she was self funded we spent over £80,000 on her care etc, I challenged the tribunal as to there assessment and they granted a fast track assessment 2 days later ..unfortunately my mother passed away 4 weeks later… If you believe the assessment your family have been given is wrong it’s your right to challenge the decision ..I feel the system badly let my mother down because I felt my mother was entitled to the funding earlier due to her health needs..I visited the home every day for two years as she was blind deaf bedridden & double incontinent, in pain most of the time she had to be fed over the last 12 months of her life..my mother was of sound mind and still she didnt qualify…. My mother has rheumatoid arthritis , Parkinsons and now Parkinsons Dementia. She has been in hospital since the start of December due to a fall and a serious UTI. They are moving to discharge her and it’s obvious she can’t live independently so now needs full time care . I’ve asked 3 times for the checklist to be done and yesterday the social worker told me there is no point as mum wouldn’t trigger the full assessment ! I repeated it was my right to ask for it so she said she would get back to me . Today I found out the checklist was carried out this morning without my knowledge or consent or an invitation to attend . I took the assessor to task on it and she said my views would make no difference and that indeed my mum’s case would not trigger full assessment . I quoted the checklist guidelines to her and she back tracked and said she would listen to my views on the phone . According to her report my mum fitted mainly B and C categories . After my phone evidence which included me quoting from risk assessments which I had copies of from her ward notes , she agreed that my mum’s case fell into at least two A boxes and therefore now triggers full assessment . She finished by saying I may as well argue all this with the main assessor as with her ! I’m appalled at the flippancy with which this matter has been treated and the lack of following legal procedures . I’m only ONE day into the process ! I wonder where I go from here ? Solicitor ? Formal complaint ? Or press on with getting evidence for the main event ? Any thoughts would be greatly appreciated ! Sadly this is very typical, Deborah. Definitely make a complaint, plus insist a DST is carried out by a multidisciplinary team with you present and with you given sufficient notice to attend. My Dad has very advanced Alzheimer’s disease. He is at home. My Mum is his full time carer with a seond carer she pays to come morning and evening. Dad is doubly incontinent, cannot stand or walk, cannot communicate, cannot feed himself, cannot understand or follow a simple instruction and no longer recognises family members. He went through a stage of being very aggressive, which precipitated him spending several weeks of 2013 in a nursing home, funded entirely by family. A funding assessment concluded that because of savings he was not entitled to funding. Once that phase passed Mum wanted him back at home. In terms of actual health needs, he has been assessed twice for CHC, most recently this month and failed to qualify – given that we have had virtually no assistance at any stage from either NHS or social services this is not a surpirse. Nonetheless it seems worth checking my understanding is correct – it seems to me that irrespective of how ill the patient or how onerous the care needs are, if that care can be provided by a carer or carers, and does not required specific expertise from someone with a nursing degree, then the individual will never qualify for CHC. Is that correct? It’s very difficutl to understand how CHC is applied because there is clearly variation in interpretation and application (although with stricr guidelines there should not be), as well as variation in what medical conditions qualify. My father’s needs are virtually identical to someone disabled by a stroke, for example. We have friends where the husband has virtually identical and is being looked after in his own home (in a different part of the country) and who has qualified for CHC – the difference is the underlying condition is not demention but progressive supranuclear palsy. It seems a very random and frustrating process. His savings have no place in CHC funding matters. The NHS cannot refuse funding for that reason. The council if he is legitimately denied CHC funding can means test their contribution to any care that is within their remit to provide. Your dad is also entitled to NHS CHC if he qualifies….. within any environment and regardless of who provides the care. For example my mum was CHC funded whilst at home so that carers were sent round at the NHS’s expense. My advice would be to have a good look at the historical posts on this site, That is a lot of work but you will see that many other people have made cases based upon the advice and knowledge of others posting on the site. Andrew – You mentioned that a funding assessment concluded that because of your father’s savings he was not entitled to funding. That is so typical, sadly. If it was a Continuing Healthcare assessment, your father’s money has nothing to do with it. These situations could be considered a serious attempt by NHS assessors to obtain personal assets by deception. You also asked about the qualifications of the person delivering the care. This is irrelevant; it is the nature of the needs that counts, not the position or qualifications of the actual person delivering the care. This was reinforced in the Pointon Case: Barbara Pointon cared for her husband full time at home and successfully argued that she was effectively delivering nursing care and that NHS funding should be made available for that reason. it is not any specific medical conditions that determine whether a person qualifies, but the overall nature and extent of those needs. As you rightly suppose, assessors seem to bring in undue subjectivity into the assessment process. I do know of a few people who have successfully been through the CHC process without a power of attorney; however, it can be very difficult – even to the extent that you can potentially be denied even the most vital information about a relative’s care and care funding. If it’s no longer possible to have power of attorney, applying for a Deputyship may be an option. Hi, can anyone help me please I’m desperate for some advice & have no idea where to go. My mum has been in a dementia nursing home for 3 yrs and after a number of falls & injuries and the lack of safeguarding in the home she finally broke her neck on 20/11/2014 that was after another fall down the stairs on 7/11/14 where she broke her nose. She has been in 2 hospitals and has had a DOLs in place at each. The screening for CHC has taken place where the checklist was completed and the subsequent meeting last Thursday to complete the DST, where she has failed the process. The panel meeting takes place next Wednesday but we were told that the decision made last week will stand. Her scores were exactly the same as 2 years ago (1/10/12). She has vascular dementia which has deteriorated since then. She is unable to hold a conversation and fails to recognise family members, which now includes myself and my sister. I’m appalled at the number of untruths or omissions of information that take place when someone’s life hangs in the balance. my Mum’s file had contained information around her care/abilities/behaviours but this had been removed and the nurse present claimed mum had been fully compliant with care. The CCG assessor didn’t even take on board anything I said. I am currently mum’s DOLs representative and as such I need check how things are. I wish to appeal this decision but on the basis of the information I have just read in the literature that without either power of attorney or court of protection it will be difficult to launch an appeal. I cannot believe how appallingly we have been treated since 20th November & do not know where to get advice from and given the fact that the “professionals” continually omit relevant information or dispose of it when it suits I am desperate to know what I can do not only around the CHC funding aspect but about everything that has brought me to this point today. That sounds like a really difficult situation, Dianne. The issues you raise about the way the assessment process has been carried out are, sadly, echoed by many other families. The assessors cannot make the funding decision; they can only put forward a recommendation. So if the assessors said the the ‘decision will stand’ once it goes to panel, that indicates a major flaw in the process on that point alone. If you don’t have power of attorney, you may still be able to apply for a Deputyship via the Court of Protection. Having power of attorney is useful. You are however, allowed to represent your loved one in the process regardless. That includes making appeals etc. My father is my mum’s next of kin. I represent her with his consent etc. without anyone getting away with questioning it. I represent my father in law too, even though he has the ability (sometimes) to make decisions for himself. That does not mean that he has the mental strength or administrative background to endure this process and fight for himself. As regards the removal perhaps destruction of records. If you can prove it then you have grounds to contact the Information Commissioners Office (ICO), and complain about the matter because it may be illegal to dispose of certain records. Regardless of them being computerised or simply on paper. Hi Angela, Thank you for the reply and the information. My understanding of the cost liability is like you said. I will pursue through the legal channels to establish whether I have a strong case. Thanks again. You’re welcome, Lee. Wishing you well. I am having trouble confirming where funding liability lies and wondered if you can help clarify things for me? My Aunt was in continuing care for 5 years between 2008/09 and March this year at a cost of £18,000-£22,000 per year. From a medical point of view, there has been no doubt that she qualifies for continuing care; it’s the funding element that remains unclear. My aunt had assets in excess of £23,000 however, I have heard of some cases where funding was either granted or claimed back. Does my family have a case to pursue? Lee – if your aunt is eligible for Continuing Healthcare, her money and assets are irrelevant. It doesn’t matter how much or how little money she has – the full funding responsibility lies squarely with the NHS. Your aunt should not have to pay anything. I can’t say whether you have a good case or not, as it would involve looking in depth at health and care needs, but keep the above principle in mind. That is exactly what has happened to me. The medics have passed our case to Social Services without doing the proper procedure for fully funded care. I pushed the issue and eventually got to the DST to have it then sabotaged by the Clinical Co-ordinator from the CCG and the Social Workers in the meeting. It was pushed to Social Care, but we later found out that my husband had been awarded the Nursing Portion of care for a nursing home. Then the Social Services over-ruled that decision and informed us we had to have a community care package or sell the house or Divorce. Which is now what we are living with at this time. If you still need to live in the house, Karen (as it’s your home), it seems quite inappropriate for Social Services to tell you to sell it. I was told i had 3 options, community care package, sell the house to fund a nursing bed or divorce therefore releasing my husbands equity in the property to fund his bed, i can live on the street. I am irrelevant ! I will add that the Daily Mail did alter the article stating that i approached the Social Services for help. That was not the case I have always pursued Fully Funded Care. Having been told on 3 occasions by a Ward Sister, a Consultant, and another Ward Sister from 2 different hospitals that my husband would definitely qualify for NHS funding. Hi Karen, If your husband lives at home with you then the NHS could not award the Funded Nursing Care Component (the £110+ a week amount). That is only paid when a person is in a nursing home. Angela is spot on they cannot touch your home if you live in it. My personal view is if you are challenging the NHS then don’t pay any part of his nursing home care if he is in one, until it is all sorted out. At this time i am challenging both the NHS and the Social Services. The outcome of the DST was nursing portion of care of £110 per week to be paid towards a Nursing Home. The Social Services stated that they had done their own health assessment and my husband was not ill enough to go into a Nursing Home. as such they were not prepared to authorise tax payers money to fund a nursing bed. To cut a very long story short most of it can be read on one of the other pages on this website. I now have an official complaint in at the County Council and also the NHS, I also have our MP on board and have also had our story put in the Daily Mail Saturday 25th October 2014. However, my husband who is hemiplegic, double incontinent and Vascular Dementia has been confined to a bed in our bedroom for the last 6 weeks since leaving hospital. He is hoist only and has carers 4 times a day x 2 people and yet I am doing all of his care. The same old story the carers are never there when you need them. We did have a solicitor – he fought the Social Services and put in an appeal for the DST, it was his suggestion to take the story to the papers, but since this happened I have taken up the fight myself. My husband receives NHS continuing care. Today I had a phone call from a social worker at the town hall who told me she had been asked to assess him for his social needs. I was puzzled as he is not up for a review yet, and as far as I am aware, his needs are still the same, and the NHS CC should continue. What should I do? It seems to me that the CCG are trying to offload him onto social services before they have even reassessed him themselves. Recently they have given him 1-1 care at night. How can they suddenly say this is a social need? We just started having that done and I have yet to discover why. It is true that the health side and the social care side have been forced together by parliament recently. That should not allow an increase in assessed so called social care needs to outrun the originally assessed NHS healthcare needs…. unless of course the medics are now trusting social workers to take the lead in making medically based decisions and then providing or denying healthcare. According to the 1999 Couhglan case, that scenario would likely be unlawful. If there is a legal limit beyond which a social worker cannot provide healthcare, then there must also be a limit beyond which a social worker can influence the lowering of someone’s healthcare needs so that they can be denied it.